Doreen's hefty, and it was huge, Northern. 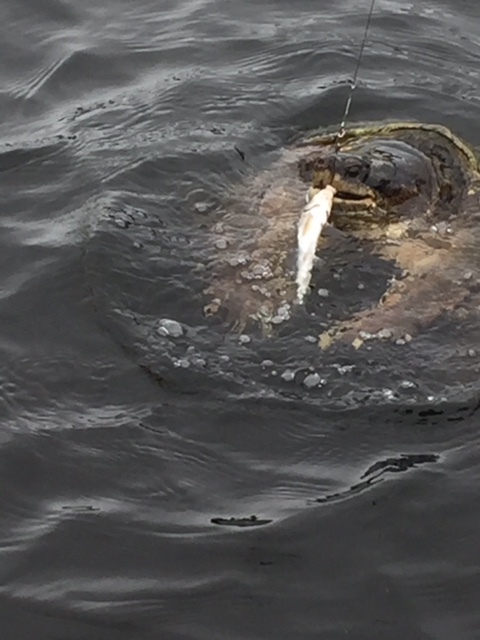 As she noted, Gil didn't bring their rods, so this was caught on a "Junior" rod and reel from CT. But, Gil did supply the secret bait.... and he got it in the boat! 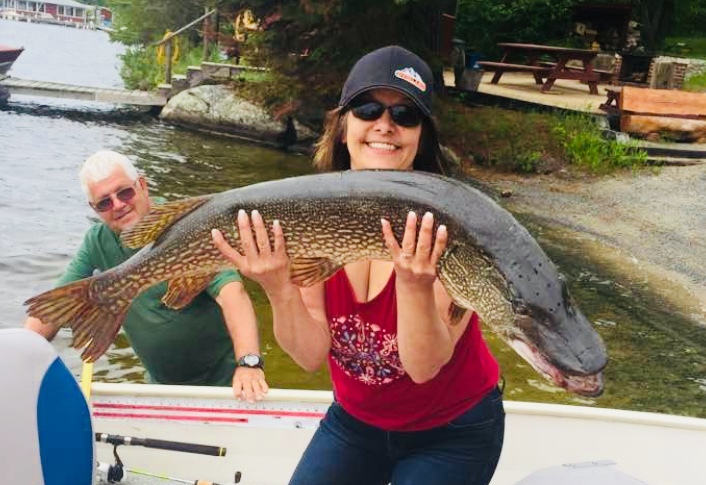 Lee has been nailing some very nice fish, including this 38" Northern! 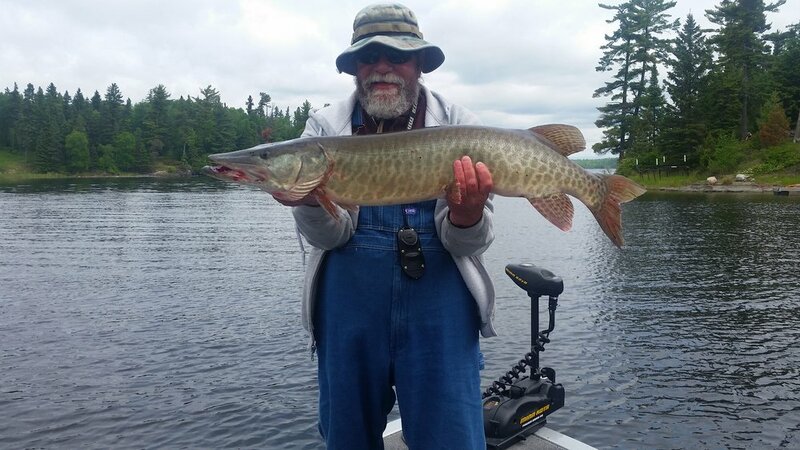 Lee's 39" Muskie. The colours are stunning; the experience, thrilling.... THAT IS A LUCKY HAT! Charlie's 42 inch Muskie; look at the girth! It was a good day!